ATLANTA—“God is in The Bluff,” a long ignored part of a city once called the New Mecca for Blacks, but it’s no spook or spirit, it’s live men, women and even children on a mission to resurrect this neighborhood known for drugs, violence and poverty. The phrase was coined by Abdul Sharrieff Muhammad, head of the local Nation of Islam mosque and its Southeast Region, who works in tandem with Reverend Timothy McDonald. 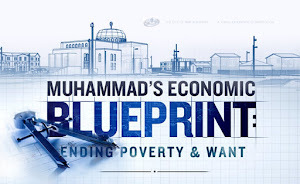 A fruitful Muslim-Christian relationship is making the community a decent place to live—following a directive from Nation of Islam Minister Louis Farrakhan from the movement’s headquarters in Chicago and in major addresses in Detroit and Chicago earlier this year. 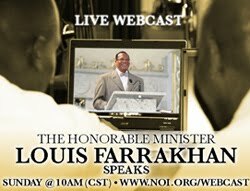 Speaking at a special meeting webcast from Mosque Maryam in Chicago, Student Minister Sharrieff Muhammad passionately shared the work of the 10,000 Fearless Men & Women in his city, which is credited with bringing more change in months than in 50 years. 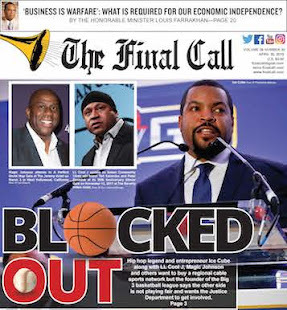 “The thing we have to do is obey the Honorable Minister Louis Farrakhan,” said the former Nation of Islam Supreme Captain pushing the rebirth of The Bluff. The Minister called for 10,000 Fearless to restore Black communities last year during and in the run-up to the successful Justice Or Else! 20th anniversary gathering of the Million Man March in Washington, D.C., last October. Blacks are suffering regardless of their religious affiliation, observed Rev. McDonald, who spoke April 5 at the same special meeting in Chicago. Min. Farrakhan shared his joy at the work underway in Atlanta and called for it to spread across the country. Brother Sharrieff Muhammad was given a command and found a way to produce the desired results, said Min. Farrakhan. The details about the assignment were not given but the commitment to do the work was there, he continued. You are more equipped to do things than you think, the Minister told Muslim members watching via the internet. Faith is required to do great work and Jesus admonished his disciples to have greater faith, Min. Farrakhan added. When you are doing something others will come to help—even Caucasians eager to avoid God’s chastisement will assist, but you have to do something, he said. Don’t be afraid to stand up in my name, Min. Farrakhan continued. Brother Sharrieff Muhammad was not afraid and is having success and God did not come for us to be unsuccessful, he said. In March over 160 volunteers from 30 organizations worked beautifying The Bluff using paint and other supplies and equipment donated by Home Depot of Southwest Atlanta. The work is based out of the 10,000 Fearless Headquarters of the South, a home purchased in The Bluff. The English Avenue Community, commonly known as “The Bluff,” has the highest crime rate in Georgia. In 2005, Student Minister Abdul Sharrieff Muhammad established People United For Change Inc., which partners with 10,000 Fearless Men & Women to bring free resources to the community at the headquarters housed at 801 Joseph E. Boone Blvd., in Atlanta. People United For Change Inc., Home Depot, 10,000 Fearless, Muhammad Mosque No. 15, the Atlanta LOC for Justice or Else! and Sankofa United Church of Christ, under the leadership of Reverend Derrick Rice, united to create “Making Our Community a Decent Place to Live” Day March 18 in The Bluff. But the movement started by simply following the instructions of Minister Farrakhan: People United for Change and the 10,000 Fearless Men & Women of the South moved into the community together and started to help fix up houses. They started beautifying the neighborhood by painting houses, improving landscaping and even fixing siding on homes. Karriemah Muhammad went to hardware and paint stores asking for donations. A visit to Home Depot in Southwest Atlanta led to store manager Jeff Stallings joining the effort. Student Minister Sharrieff shared how he told those offering to help that there would be no strings attached to any donation or assistance. They are not used to Black men standing up like men, he said. As the environment improved, there was a decision to hide dilapidated homes behind a wall with a mural, he recalled. City officials fought the wall but eventually tore down the blighted structures. When city employees asked who gave permission for the wall and the mural, Student Minister said he responded: “God did!” Then he asked city officials: Who gave permission for neighborhood neglect to run rampant? While providing free food and clothing, it became clear some in need or even homeless were military veterans, said Student Minister Sharrieff Muhammad. The group’s Ambassador for Veterans Affairs, Michael Duncan, did intake and discovered vets were having problems getting services, he said. 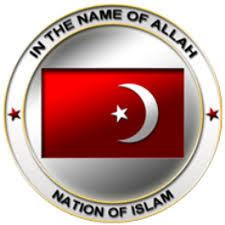 Refusing to take no for an answer, or be given the runaround, led to a meeting with Veterans Administration officials and connections to ease the suffering of those who served this country, said the Nation of Islam student minister. He was joined in the meeting by Mr. Duncan. In that meeting, Min. 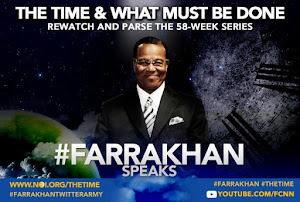 Sharrieff Muhammad added, Veterans Administration officials were told flat out that “Farrakhan’s man in Atlanta” was who they were dealing with. It resulted in promises to streamline veterans and promises for a follow-up meeting if the sit down didn’t yield results. “I worked in this community 32 years ago,” said Mr. Duncan. He often felt alone, opposed by housing officials and felt indirect threats from police. He is a disabled vet, but after Barry Muhammad invited him to join the 10,000 Fearless, he found allies. “Now, it feels good to be in an environment where you are not the only one trying to do the work. I know this is God’s work. I believe that when you allow your hands, your mouth and your strength to be a tool for his purpose, he will lead you, he’ll take over,” he said. His evaluation of veterans logs their vital needs, branches of the service and their benefits denials. Many were in the VA database but were mistreated, ignored or turned away before Mr. Duncan started literally walking individual veterans through the bureacracy. It was traumatizing for these men and women being rejected after serving their country, he explained. The Bluff restoration effort has included fixing roofs, putting up new fences, picking up trash, landscaping and creating a peace garden. Health screenings, food giveaways, conflict resolution and training to join the 10,000 Fearless are held at the 24-hour center. The headquarters also provides counseling, youth programs, culinary arts and other training. An “Occupy the Corner” initiative involving several groups trains to patrol The Bluff. The training suite is named after a longtime Nation of Islam pioneer, Minister Abdul Rahman Muhammad. An April health fair, led by the Mosque No. 15 Ministry of Health and Human Services and Alternative Health Practitioners, was held at the 10,000 Fearless headquarters. The focus was health education and alternatives to traditional medicine. Passersby and residents waded through sidewalk tables and displays, had their blood pressure taken and were engaged in conversations about health. Louis Muhammad, Saabirah Muhammad and others are responsible for community outreach. Lavania Morris, 63, was born and raised in the Bluff. For 15 years, she has needed dentures. “The impact of 10,000 Fearless on me and in the community is a godsend. Let the church say amen,” she exclaimed. “It’s a nice program they have done wonderful work and a miracle for me,” as she proudly, showed off a toothless smile. “Sometimes, I help here with the food and clothing and whatever, and it feels good to work on our community first and make it proud and beautiful. Brother Sharrieff is so loving and kind. Brother Farrakhan taught him well,” she said. 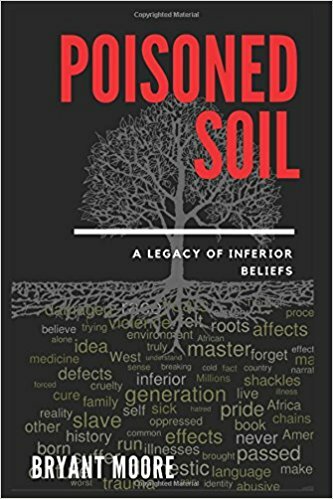 Chicago native Haroun Shahid Wakil lives in Atlanta and works with 10,000 Fearless through The Street Groomers, a collective of former so-called gang members working on freedom for U.S. political prisoners and those forced to live in exile. Mr. Wakeel frequents The Bluff headquarters. He assists with community patrols and educates residents about political prisoners. “It’s a bunch of guys that come from the streets—the GDs, the Stones, the Vice Lords—that decided to come together over common issues. Right now we are trying to get Imam Malik and Larry Hoover out, they both are political prisoners. But the work of the 10,000 Fearless, the fixing up and cleaning up is very positive,” he said. Reginald Ward, a 58-year-old Bluff resident, took a break from distributing food and clothes in front of the 10,000 Fearless headquarters. He lives on the streets and sleeps in nearby woods. When it rains, he rests on the front steps of a nearby church. He sat along a sidewalk, eating a bell pepper and watching people pick through donated clothes. He had just laid out the clothes for display. “I have stroke on the brain, an enlarged heart, and emphysema. Smoking has destroyed both of my lungs. I have an enlarged prostate and vein damage in my legs. They are in constant pain. 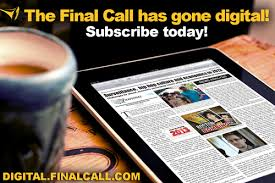 The doctors have to perform ultrasound just to get a pulse from my feet,” he told The Final Call. “But God is my deliverer,” he said. “This has been a destroyed community. I see them working for us and I do what I can to help. I read the Holy Qur’an and the Bible and I find them both saying the same things. Our people need each other. It’s about choice. These people have done a lot” in a few months, he said. “They are teaching us that God is real and without him, we don’t have anything. And we haven’t had anything for a long time, until the 10,000 has come. So, I spend a lot of time on the corners where the brothers be and I tried to teach them and show them what I know and tell them to help ourselves here. I thank God. He is real,” Mr. Ward said. Joy Muhammad, 11, is youth ambassador for the Atlanta Local Organizing Committee and goes after young people in The Bluff. “The Joshua Generation is the forefront of the Nation and we are going into the community and will hear and obey the instructions of the Honorable Minister Louis Farrakhan. The goal is to go into the community with our modest clothing, and we will talk to the young girls and do community events together,” she said. The success in The Bluff is an example of what can happen when egos are checked at the door, said Rev. McDonald, pastor of First Iconium Baptist Church and chair of the Atlanta Local Organizing Committee of the Justice Or Else! movement. In 1995, Rev. McDonald served as Atlanta LOC head for the Million Man March. Future plans call for technology centers and bringing in Black businesses to keep money circulating in the community, he said.